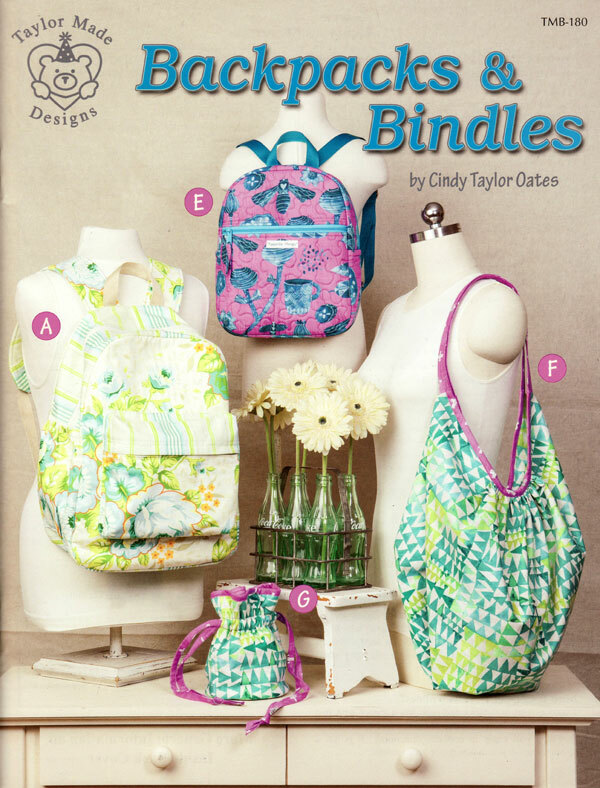 Backpacks & Bindles sewing pattern book from Cindy Taylor Oates. 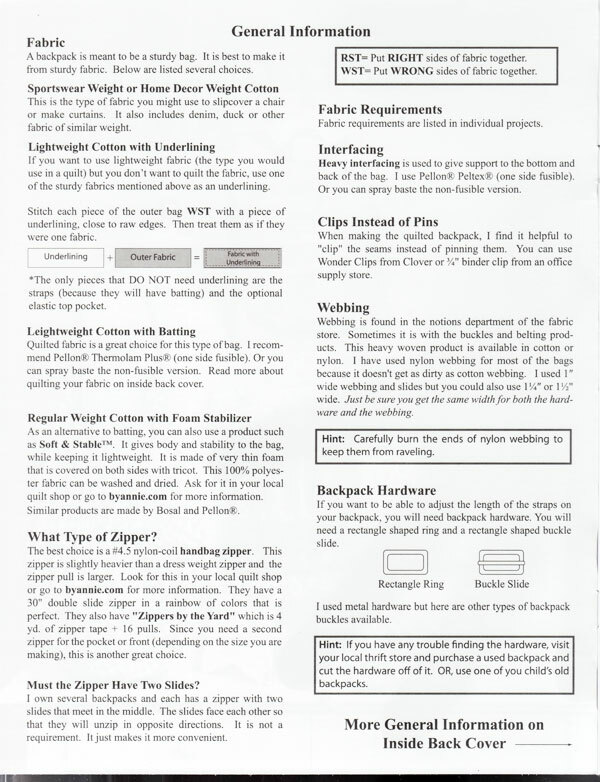 The large and small backpacks were originally published in 2007 as projects in the now discontinued and very popular sewing book "Backpacks". However many people continue to ask for this book. 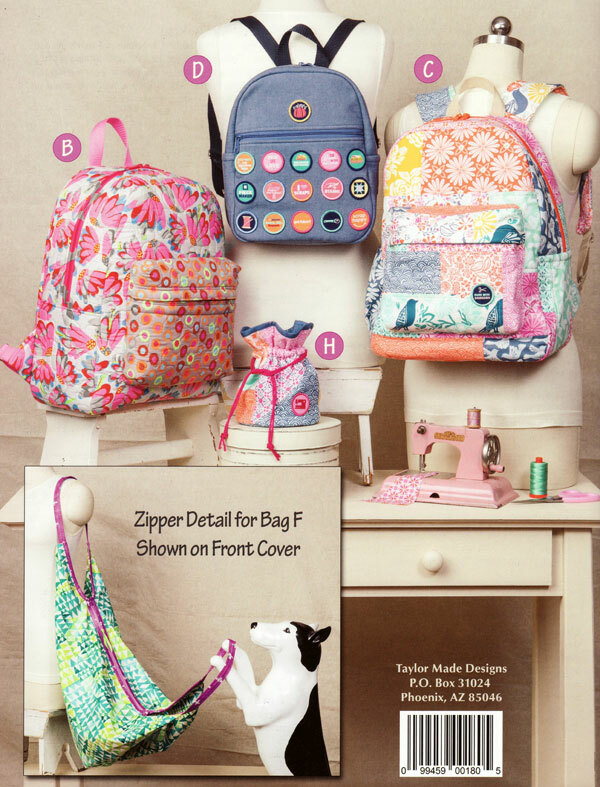 So Cindy has reissued the book and added a few other bags! There are a lot of new products on the market that were not available in 2007 which will make this new backpack even better. WHAT on earth is a bindle, you ask? Cindy says, "A bindle is a bag used by hobos to carry their worldly possessions."